Home sweet home! Thanksgiving break is finally here and man does it feel great to sleep in my own bed, be with my family, continue my Christmas countdown and do some breakfast experimenting. Crazy to think how fast this semester has gone by already…only a few more weeks of the semester and then I am back home again for Christmas. This week will be filled with lots and lots of fall treats as I try to enjoy the last of the pumpkin flavor before the Christmas spices make their first debut! Apples, pumpkin, cinnamon mmmm, gotta love the fall flavors around Thanksgiving time. This topping has just the right amount of sweet and spice to it. It is perfect for a chilly morning with a warm cup of joe and it takes less than 15 minutes to prepare! So, run to that kitchen of yours and get cookin’! In a small pan, heat a light amount of Olivio (or butter substitute) on low. Meanwhile, in a cereal bowl evenly mix together sliced banana, orange juice, cinnamon, brown sugar and walnuts. 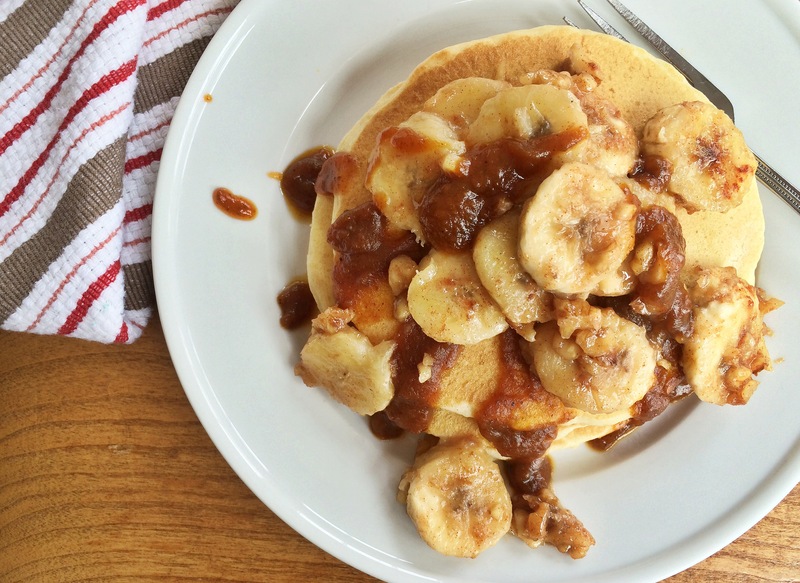 Place mix in pan, turn up to low-med heat and cook banana slices on each side for about 3-4 minutes each. In a separate small bowl mix together pecan pumpkin butter and maple syrup. Heat in the microwave for 30 seconds or until a thick syrup forms. 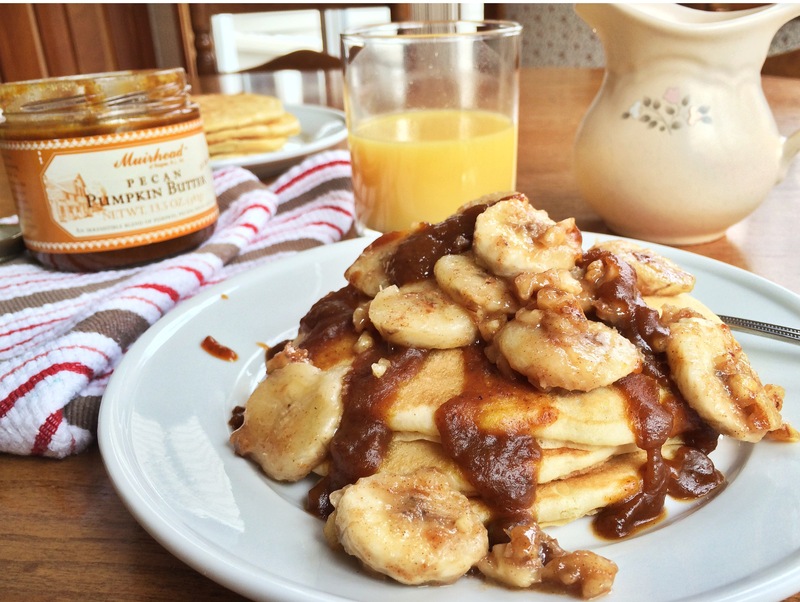 Drizzle your pancakes with the pumpkin butter syrup and top with the caramelized banana walnut topping. Bon appétit! Previous Post Do these look ent-icing or what? !